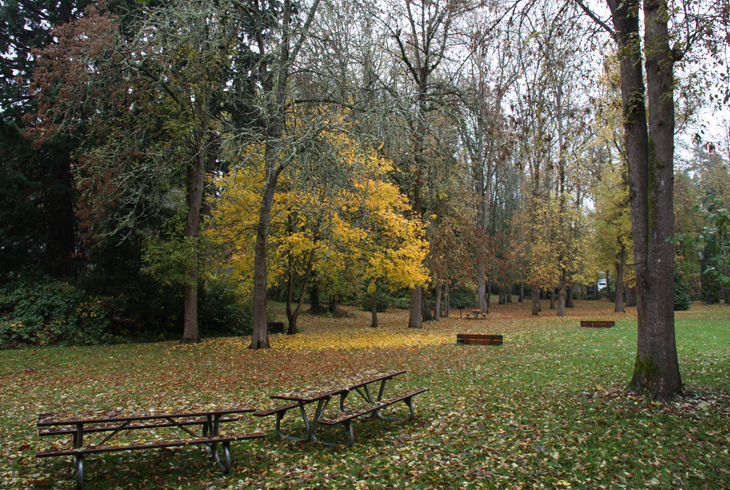 Located between SW Canyon Road and SW Beaverton-Hillsdale Highway in Raleigh Hills, 16-acre Raleigh Park offers a wide variety of recreational opportunities. THPRD is in the midst of a development plan to Improve Raleigh Park. Click here for more information. 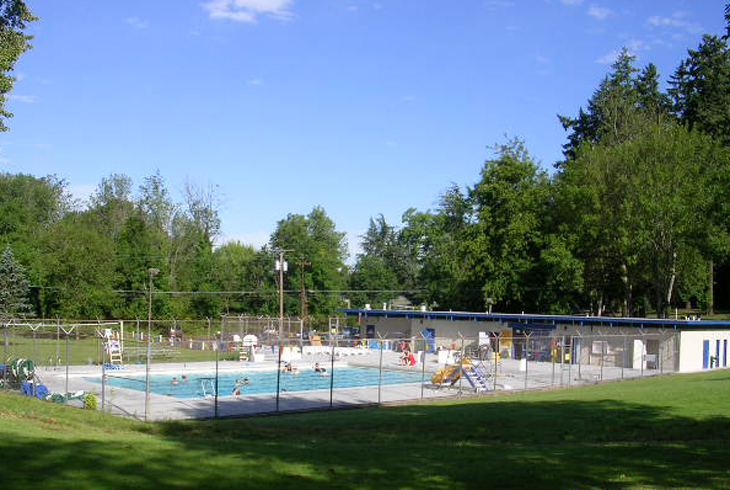 A 25-yard outdoor pool, open during the summer season, is the highlight of this park. 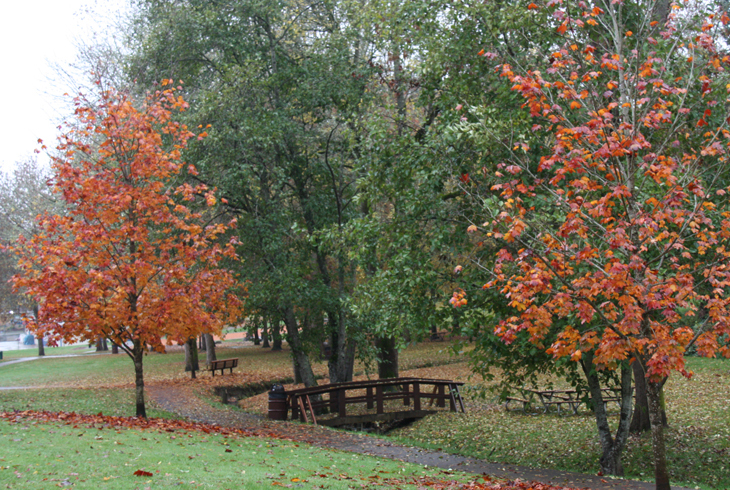 It also includes a volleyball court (seasonal), a playground and swing set, a horseshoe pit, and picnic tables. 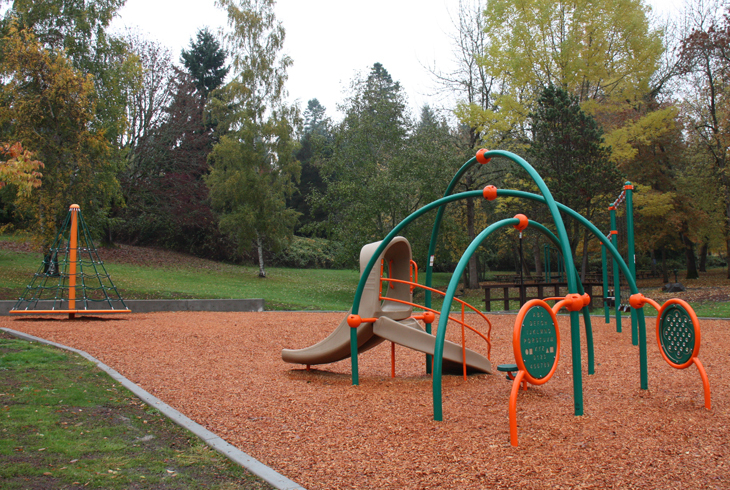 The play area features a water pump and dirt area for kids to get a little dirty. A paved trail extends from the west side of the park to the east side, through grassy hills and trees. The park is also home to one of THPRD’s newest features: a nature art installation. As part of the Nature Revealed: Discovering Nature Through Art project, artist Adam Kuby installed a series of granite stones that will show over time the process of tree growth. Raleigh Park can be accessed from a parking lot on SW 78th Ave., from a trail leading from the West Slope Library and Raleigh Park Elementary School, and a trail entrance from SW Ridgewood Ave.